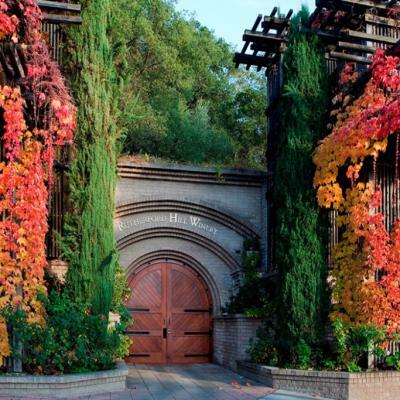 It's hard to imagine a destination that pairs better with romance than the Napa Valley. Picnics in vineyards, spatreatments at natural hot springs, white-tablecloth gourmet meals, and even hot-air balloon rides at sunrise all do their part to set the mood. Whether you're here to mark a milestone anniversary or just to whisk yourselves away from the everyday grind, the Napa Valley will come through with its intoxicating charms. Here's an itinerary made for couples–from scenic hikes to wine tastings amid the vines. This itinerary starts at the northern end of the valley, in Calistoga, and works its way south, to the city of Napa. 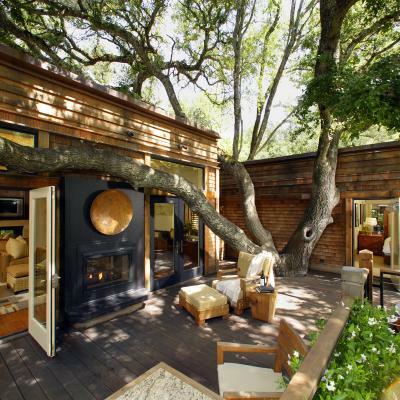 While the area has a number of hotels that are designed with romance in mind, one top choice is the Calistoga Ranch . The 157-acre property includes hiking trails winding their way through grounds with oak groves and streams. Accommodations are in 50 freestanding lodges, with cedar decks and outdoor fireplaces (some also have private outdoor hot tubs). If you are tempted to never leave the resort, you wouldn't be the first—and you can check off a number of Napa experiences on the property, from classes to treatments at the spa. If you prefer the intimacy of an elegant B&B, the 5-bedroom Chateau de Vie , also in Calistoga, is a good choice. The inn sits amid formal gardens planted with lavender and roses and two acres of vineyards planted with Bordeaux grapes; rooms come with Egyptian cotton linens and l'Occitaine products. Each morning, you can start the day with a fresh, seasonal breakfast, perhaps after a swim in the 40-foot lap pool or a soak in the hot tub. Before you make the journey to Napa, you will have hopefully picked out a class at the Culinary Institute of America's Greystone campus that you want to attend. While the institute has trained some of America's leading chefs and offers degree and certificate programs, the one-day classes some of which are only several hours long cover topics like wine pairings and California cheeses. It's a good introduction to your Napa Valley experience, and can be an opportunity to figure out with your partner what wines you like best. You can then focus your winery visits in the days ahead. In this part of the world, one of the most often repeated quotes from author Robert Louis Stevenson (who spent his honeymoon in 1880 in the Napa Valley) is, "Wine is bottled poetry." At the Schramsberg Vineyards , the poetry has some bubbles in it, as Schramsberg specializes in sparkling wines. The tours (by appointment only) include the romantic wine caves, lined with oak barrels. Dine tonight at Solbar at Solage Calistoga , a Michelin-starred restaurant that is more festive than stuffy. The menu focuses on contemporary California fare using local produce. Tip: Request one of the especially enticing poolside tables. 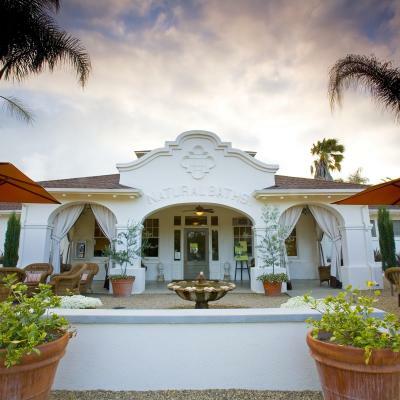 With its legendary hot springs, Calistoga has been a spa destination since the 19th century. Travelers continue to come here drawn both by the mineral waters, as well as the volcanic ash used in the area's famous mud baths. There are a number of spas to choose from. For couples, Indian Springs Resort is a good choice—it was a favorite of Lucille Ball and Desi Arnaz, as well as other Hollywood duos. Call ahead to reserve one of the outdoor treatment rooms. Have lunch at Sam's Social Club which serves salads, flatbread pizzas, and spa-inspired cuisine. If you want to step even further back in time, the romantic Castello di Amorosa , just outside town, is a castle inspired by 13th-century Tuscan ones that has somehow ended up in Northern California. Explore the 100-plus rooms and take in the views from the castle walls before sampling the Italian varietals grown at the winery. Next, visit the Rutherford Hill Winery . This early pioneer in this part of the valley has been creating its signature merlot since 1972. A visit here includes an opportunity not only to sample the wine, but also tour the wine caves that run for almost a mile or have a picnic in one of the oak grove's cabanas. After your visit, enjoy a long leisurely lunch at one of Napa's Michelin-starred restaurants. The Restaurant at Auberge , on Rutherford Hill Road practically next door to the winery, overlooks the valley below. Six-course tasting menus showcase the Mediterranean cooking of Executive Chef Robert Curry whose dishes are perhaps the only thing that could compete with the view from the deck. 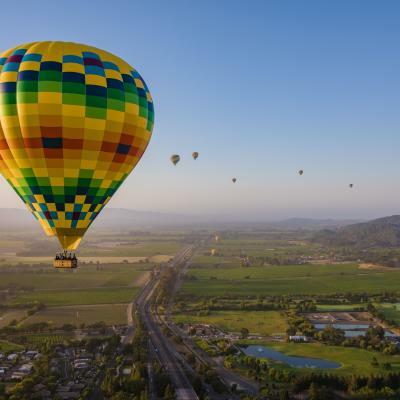 ville or Calistoga, and then float above the vineyards for an hour before you return to the ground, and to the Oxbow Public Market, for a Mexican lunch at C CASA of tostadas, fish tacos, and huevos rancheros—as well as glasses of champagne and mugs of Mexican coffee. One of the most distinctive businesses in town is the Napa Valley Distillery . After all, while Napa Valley counts about 400 wineries, it only has one distillery. Founded by husband-and-wife team Arthur and Lusine Hartunian, it concocts small-batch spirits infused with local wines and ingredients. Make an appointment at its grand tasting salon to learn about their process and sample their creative cocktails, or pick up some of their bitters and other cocktail essentials for sale back at Oxbow Market. After a heady day, retreat to Calistoga Ranch, where you might visit the spa, attend a class on beekeeping, wine blending, or gardening, or just bask in your surroundings and time together. The resort's Lakehouse restaurant has a perfect setting for your last meal for two in Napa Valley.